Register now at EuroGrand Casino and have the best experience in your online casino gaming! EuroGrand Online Casino stands at the forefront of the gaming industry, boasting years of experience and unparalleled quality that players can rely on. Powered by world-renowned Playtech software, EuroGrand casino offers access to an exciting games selection in addition to generous bonuses and promotional offers. A comprehensive customer support team is always on hand to assist in any way possible making for a unbeatable, world class online experience. From slots and scratchcards to poker and progressive jackpots, there\'s never been a better time to play at EuroGrand casino. New Player 1st Deposit Bonus: The Eurogrand Casino New Player 1st Deposit Bonus is available to first time depositing NEW PLAYERS only. Player\'s that have already registered another account or who have already taken a Welcome Bonus are not eligible for this promotion. New Player Bonus: 100% up to £100+ 25 Free Spins (Minimum Deposit £10 - maximum Bonus £100). 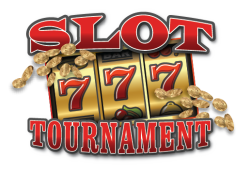 In order to claim your winnings, you must wager at least x25 your deposit and bonus amount . New Player 2st Deposit Bonus: 60% up to £500 free on your 2nd Deposit! Make your 2nd deposit of at least £10 and Eurogrand Casino will give you a 60% match bonus up to £500. New Player 3st Deposit Bonus: 100% 3rd Deposit Bonus! Make your 3rd deposit of at least £10 and we will give you a 100% match bonus up to £100. Eurogrand Casino has an easier, faster and secure system to make a deposit . Just complete these 3 simple steps and you\'re off: Step 1: Choose which deposit method you wish to use , you can also see the deposit methods in the ‘Cashier\' after you\'ve installed the free software and registered for a Real-Money account. Step 2: Go to the ‘Cashier\' and enter the amount of money you want to deposit. Be sure to check out the deposit method bonuses on offer before choosing, for instance a 15% bonus for using Skrill. Step 3: After your deposit has been processed you will receive confirmation, meaning that you can leave the ‘Cashier\' and start playing. EuroGrand casino is owned and operated by WHG (International) Limited under a license granted by the Gambling Commissioner, Gibraltar. Unfortunatelly, we don't have any news for EuroGrand Casino till now. :-( Check again later! RTGBonus.eu reviews the promoted EuroGrand Casino with very strict rules. We continuously try to test, play and use our exclusive no deposit bonus codes and or its own no deposit bonus codes, free spins codes and any other match bonus offer. All the previous are regularly offered by EuroGrand Casino. However, we advise our visitors to keep playing on EuroGrand Casino and be always gambling awared. Additionally, RTGBonus.eu does not have any consistency for issues with EuroGrand Casino like any late future payments or if casino suddenly closes and for any other issue that harms you as gambler or visitor.